In Port St. Charles, both business as well as leisure travelers can find budget- friendly car rental deals suiting all budgets and traveling needs. Rent a car in Port St. Charles and explore the beautiful attractions of this place and its nearby areas with utmost ease. Ours is a trusted car hire company renowned for providing top-notch rental services at the most competitive prices. Our suppliers have set up their help desks and car rental representatives at several different places in Barbados and hence offer a comprehensive list of pickup and drop off points here. Travelers can book rental cars for both one- way as well as two- way trips in Barbados. Found on the western coast of Barbados, Port St. Charles is a unique and upscale luxury marina community and beachfront. Port St. Charles is located in the parish of Saint Peter. Travelers can choose from 1, 2, 3 and 4 bedroom homes on the beachfront and lagoon front. Travelers on a family vacation can find exclusive hotels and Caribbean villa rentals at both lagoon front and beach front. They can experience easy and hassle-free Port St. Charles car rental services with us. Situated within the parish of Saint Peter, the Port St. Charles marina is home to Coast Guard sub office and branch of government's customs and immigration bureau. 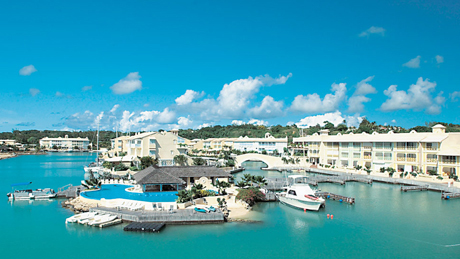 The properties at Port St. Charles Marina are managed by Port St. Charles Development Ltd. Port St. Charles Marina is located in Heywoods at about 5 minutes walk from Speightstown, 15 minutes drive from the amenities at Holetown and at around 45 minutes drives from Barbados Grantley Adams International Airport. Travelers on business trips and leisure tours can easily drive to their desired destination by hiring a car in Port St. Charles with us. The open air yacht club at Port St.Charles Marina offers lunch, dinner and bar service. Visitors can also enjoy the picturesque and wonderful views of the beaches, yachts and west coast beyond. For a pleasant evening, the ideal place is the Sunset Island which is a beautiful island with a swimming pool. Sunset Island is a great place to spend quality time with family and enjoy the mesmerizing sun sets in the evening. Marina also has tennis courts, special exercise room and a fantastic saloon. Book your Port Saint Charles car rental deal today!